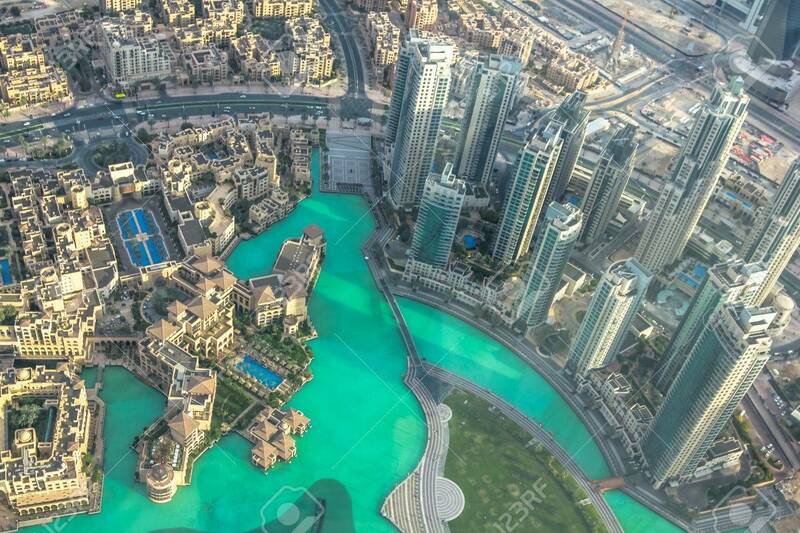 Aerial View Of Dubai Fountain Area, Burj Khalifa Lake And Skyscrapers.. Stock Photo, Picture And Royalty Free Image. Image 63400487. Stock Photo - Aerial view of Dubai Fountain area, Burj Khalifa Lake and skyscrapers of Old Town Island in Dubai downtown, United Arab Emirates, from top. Aerial view of Dubai Fountain area, Burj Khalifa Lake and skyscrapers of Old Town Island in Dubai downtown, United Arab Emirates, from top.